We are all one family – related and joined together by the blood of Jesus Christ! In Christ, while we have ethnic and racial distinctive, we first belong to and are one in Christ. 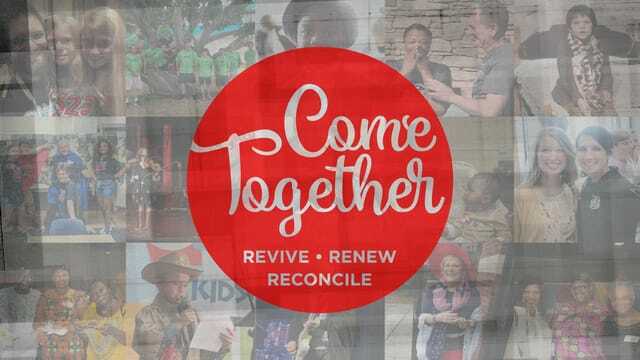 God desires for us to be reconciled to one another in unity. We will all live in the same eternal home – heaven, by God’s grace! How can Christians be involved with reconciliation? 1. We should recognize division is our natural default. 2. Admit the presence of preconceptions and/or prejudgements. 3. Exercise personal repentance and constant self examination from a biblical perspective. 4. Follow Christ instead of culture. D.A. Carson in his re-evaluation of Niebuhr, Christ and Culture Revisited. The Scriptures are the single authoritative source for knowing who Christ is, what He has done and what He continues to do throughout history. God desires for us, by the power of His Holy Spirit, to engage our minds, strengthen our discernment/wisdom as we grow in our role of representing Him in the culture where He has placed us. 5. Intentionally connect with people of ethnic backgrounds in friendship and partnership in the Gospel.